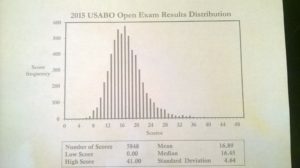 This week is a busy week for those taking USABO. 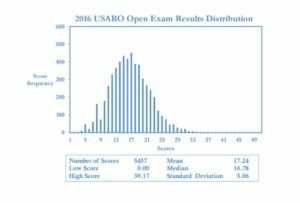 To help you relieve stress, have a look at some statistics from USABO Open exams 2014, 2015, and 2016. 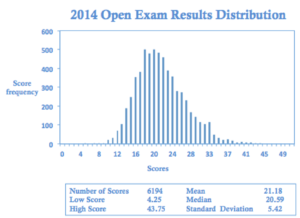 Good luck and if you worked hard, you will definitely qualify for the next round!